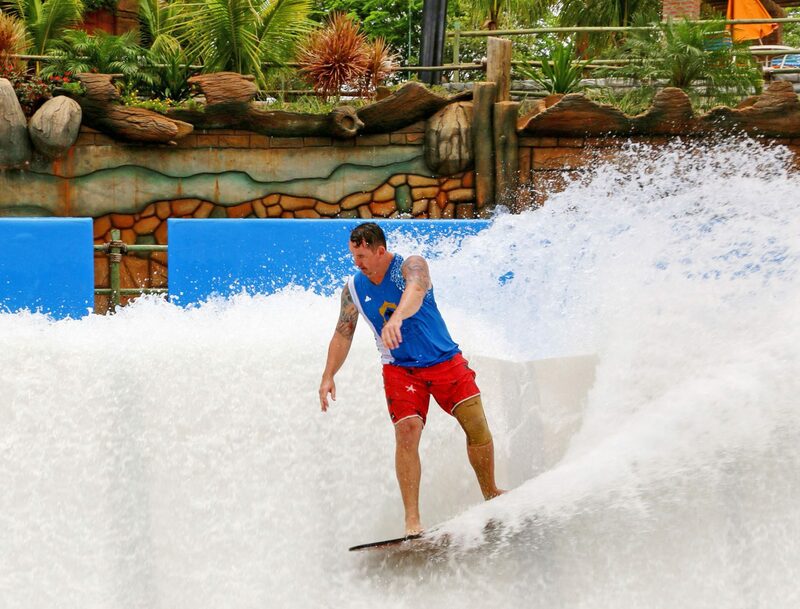 Double the Surf. 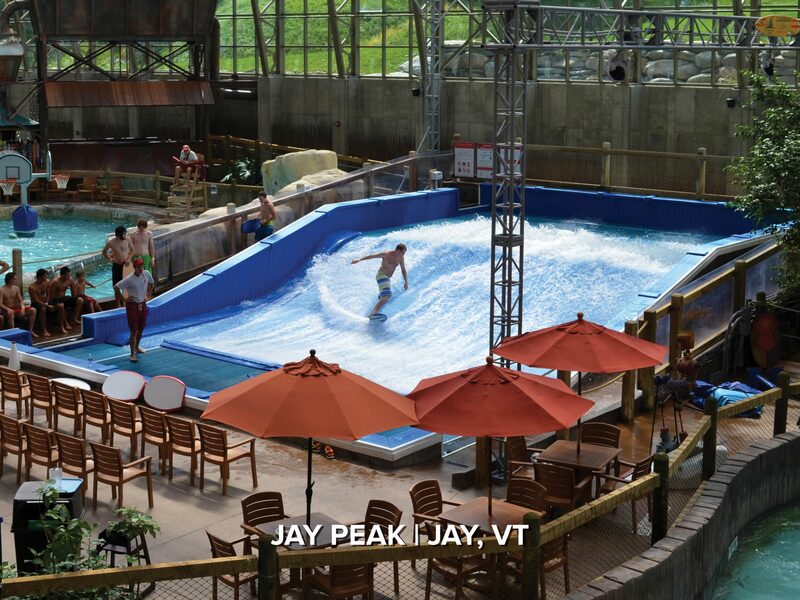 Double the Revenue. 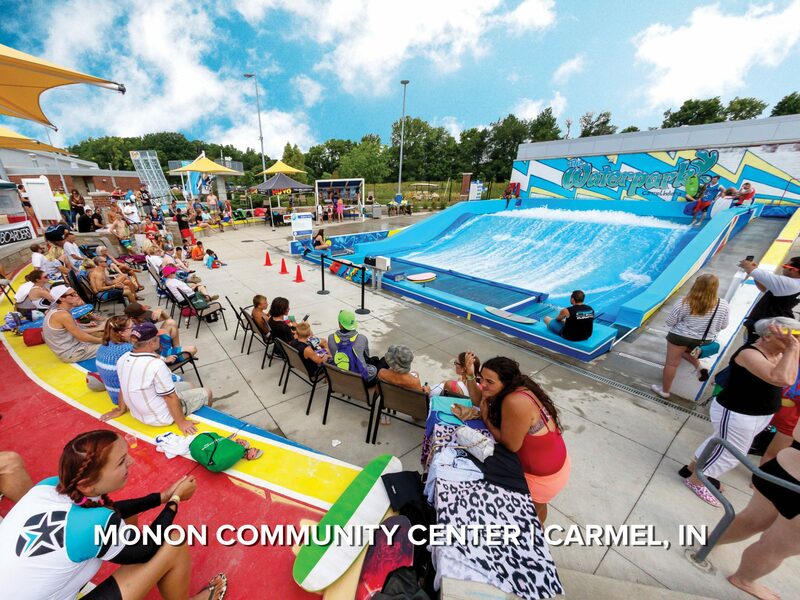 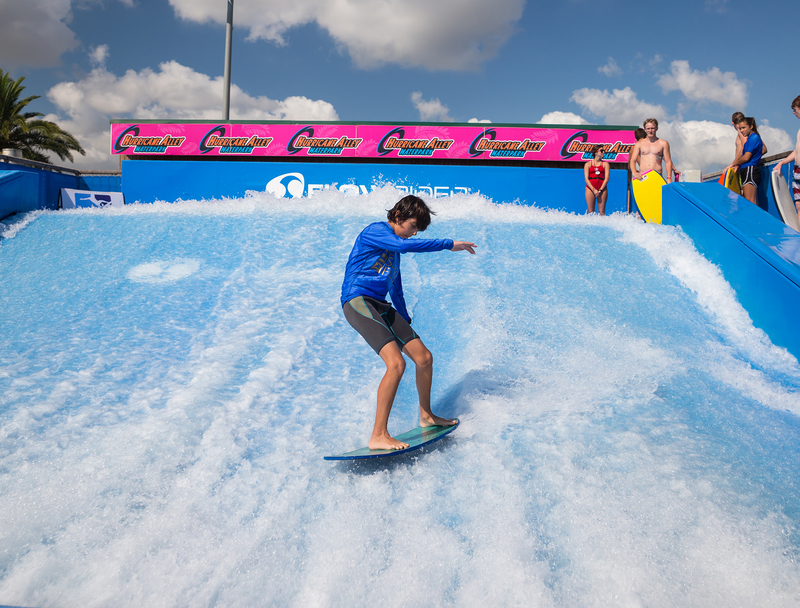 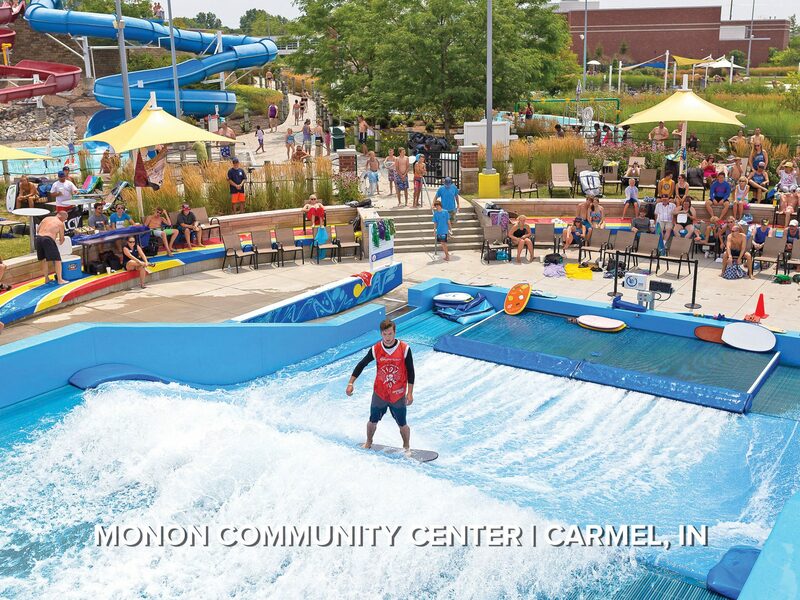 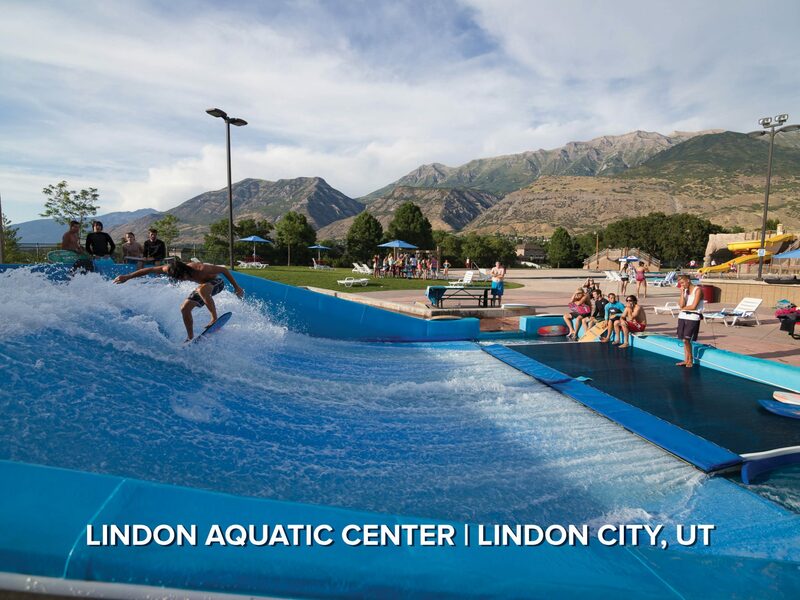 The FlowRider® Double brings twice as much of the Southern California surfing lifestyle to your venue, doubling the capacity of the Single, and doubling your revenue. 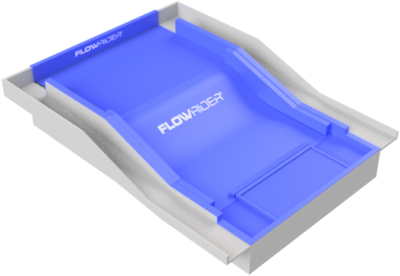 The patented Flow FenceTM creates two lanes for flowboarders to ride in, increasing rider capacity. 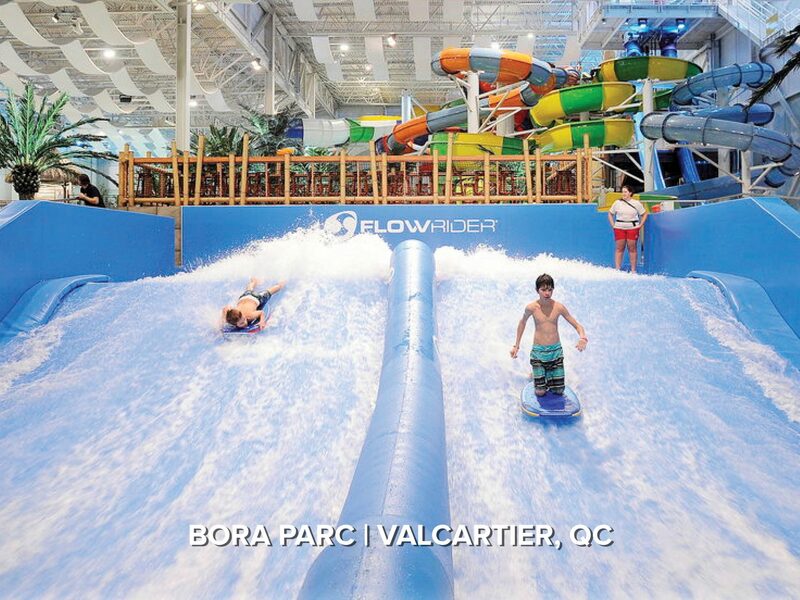 Remove the Flow Fence and you double the ride area – perfect for special events, or special ride times for expert boarders. 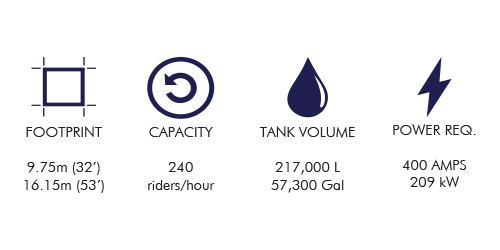 With 240 hp under the hood and a 630 sq ft ride surface, the Double packs an adrenaline producing punch of speed, power, and ride surface. 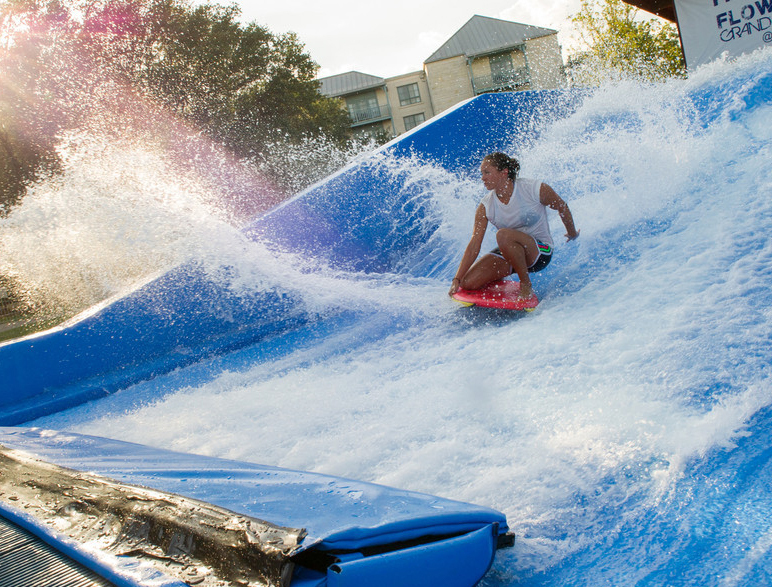 It’s also one of the safest, most durable products in the industry. 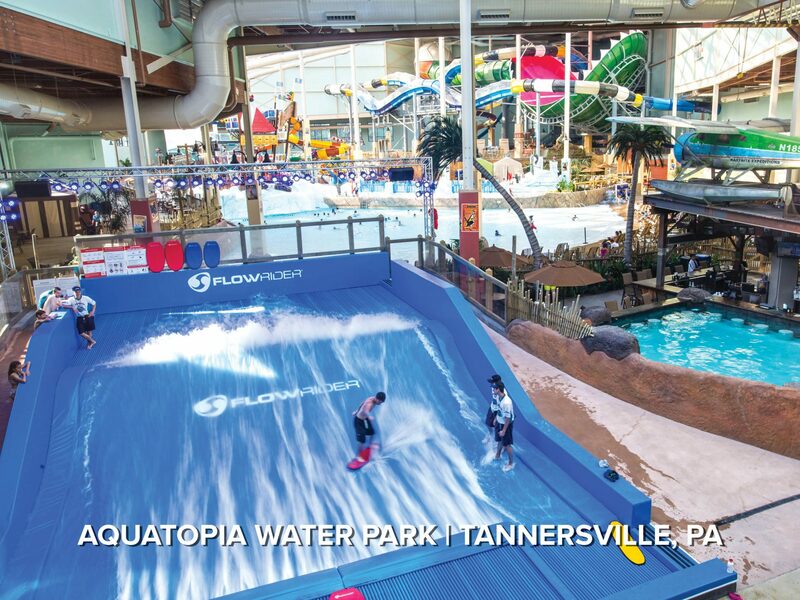 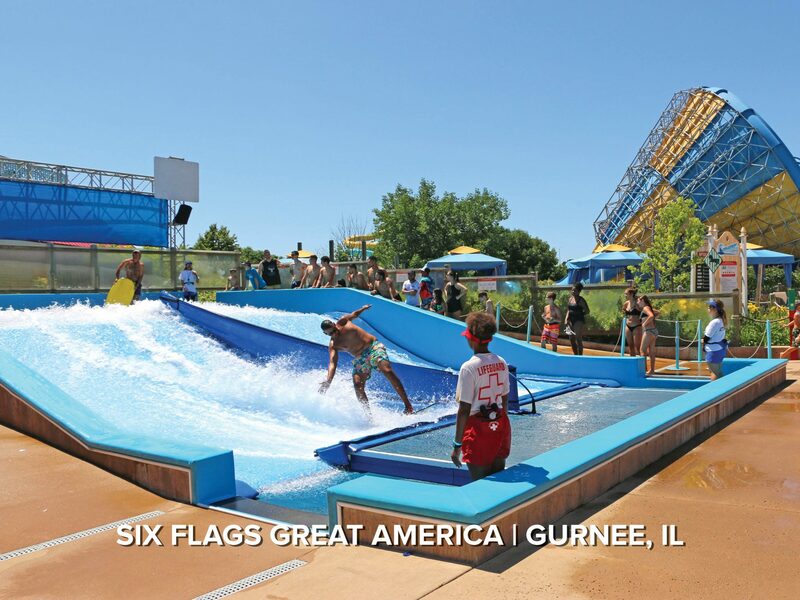 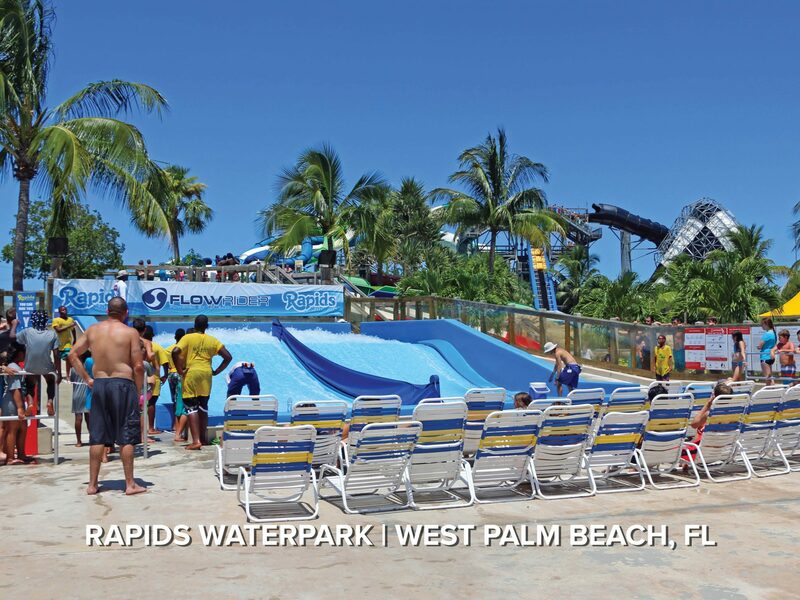 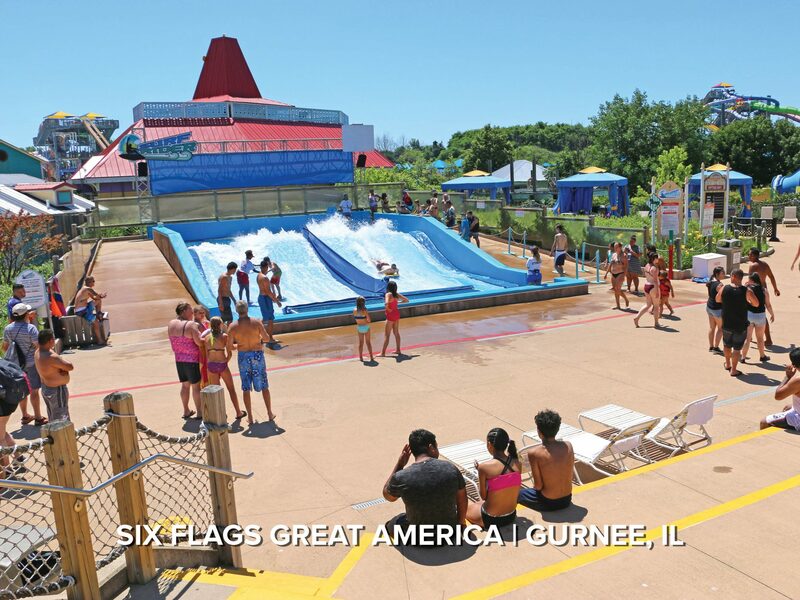 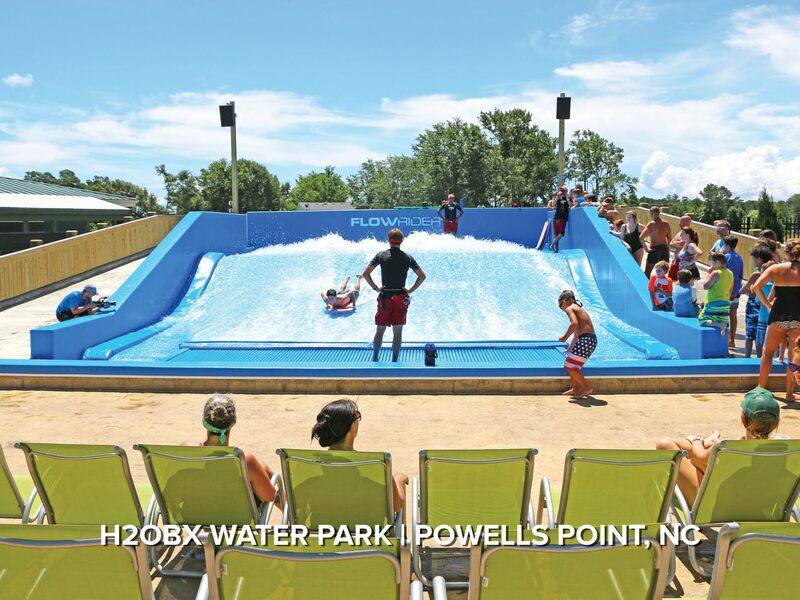 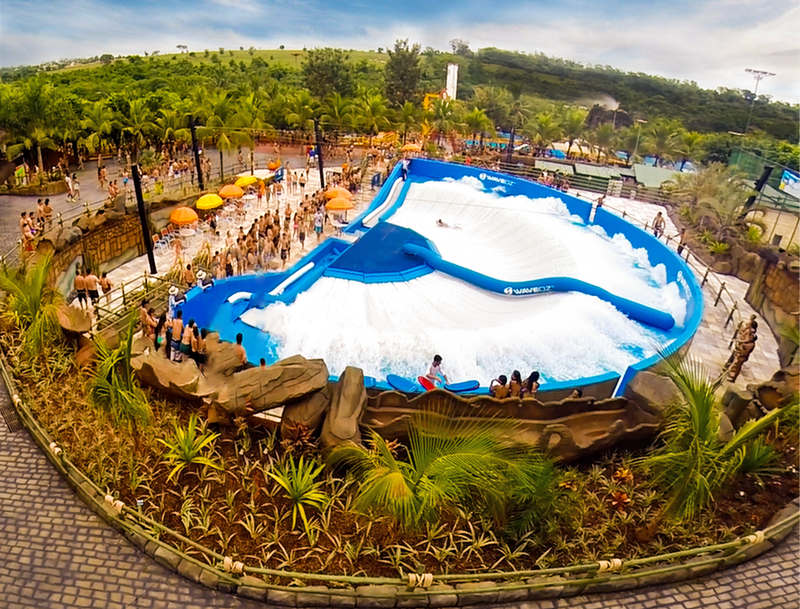 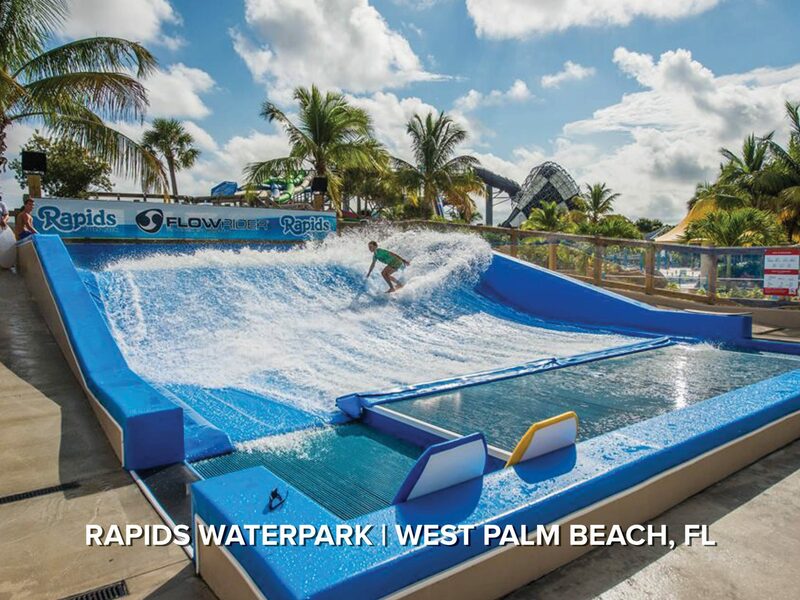 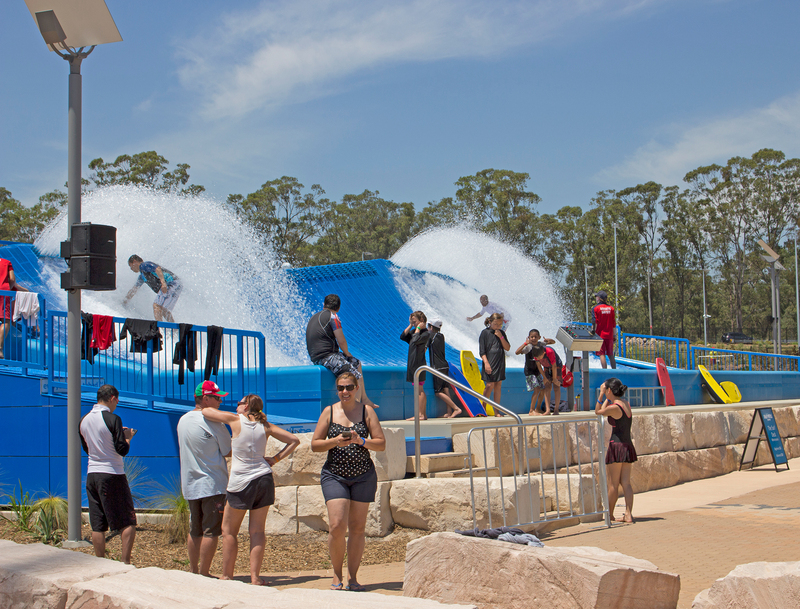 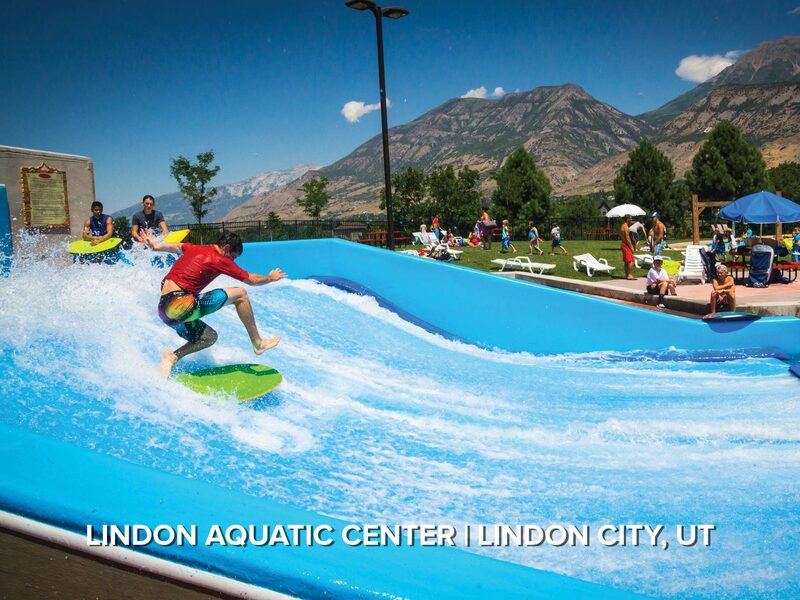 With over 100 FlowRider Double’s sold, it’s the most sought after simulated surfing experience ever created.